One of the big three telcos available in Australia, Vodafone is a global brand that has been operating in Australia since 1993. Offering a number of phone plans and services, Vodafone is often considered by phone users when it comes to choosing a provider, whether they live in the big city or a smaller country town. But just how much of Australia does Vodafone cover, and is it the telco provider for you? In this Canstar Blue article, learn how much of Australia is covered by the Vodafone network, and whether Vodafone is the best network provider for you. Network coverage can be described as any area that is covered by a service provider. In terms of the telco industry, this includes areas from which you can make or receive a phone call, text message, or access the internet. As a result, the more extensive the coverage area offered by a telco provider, the more places in Australia you can call or message from. ‘Black spots’ is the term given to areas that are not covered by network coverage. These are typically rural areas where telco infrastructure isn’t supported, or where the phone signal is blocked by other structures, such as tall buildings or when you’re in an underground car park. However, the Australian government and the major telcos are working on the Mobile Black Spot Program in order to reduce the number of areas affected by limited or no service. You can find out if you’re affected by a mobile black spot here. With phone technology constantly evolving and improving, Australia has a number of phone networks that currently operate and keep customers connected. 3G and 4G are currently the most common and popular options, with 5G being introduced to major cities around Australia. 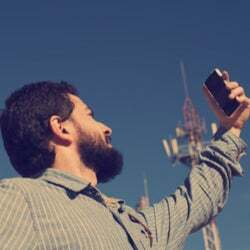 The difference between each network coverage option is the speed on which they operate (with 4G being faster than 3G, and 5G faster than 4G), as well as how much of Australia they cover. If you’re interested in learning more about network coverage options, you can find more details here. Where does Vodafone cover in Australia? 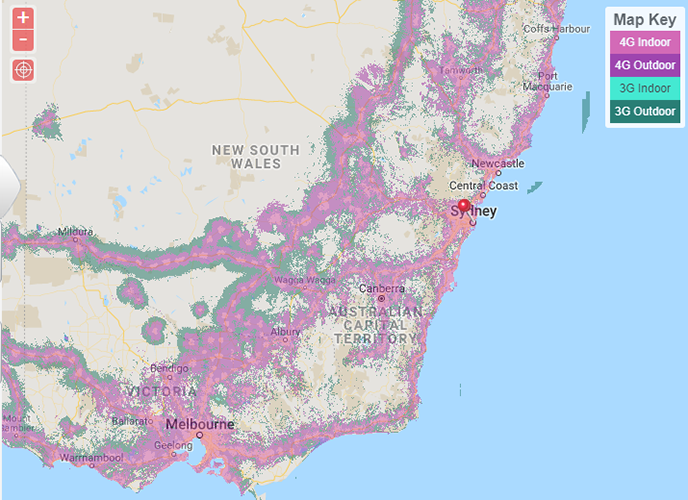 Claiming to cover more than 96% of Australia’s population, Vodafone offers a number of network coverage options, including 3G and 4G networks, with 5G being rolled out across major cities. Above is a map of NSW and Victoria, showing which areas are covered by Vodafone’s networks. While most areas are covered by either the 3G or 4G network, areas that are further away from major cities will have reduced coverage, or may need additional devices such as antennas in order to gain access to suitable coverage. Those further out from major cities will fall under Vodafone’s Regional Coverage, which will be shown on your phone as ‘Vodafone AU R’ or ‘Voda R’. An upgrade on the 4G network, 4G+ utilises the LTE network (which operates on a different spectrum), offering users a quicker data experience. Covering both major cities and regional towns, Vodafone 4G+ is only compatible with more modern phones, meaning it won’t be available to everyone. However, you don’t have to do anything to switch to the 4G+ network, as Vodafone will automatically switch you over if you’re in 4G+ coverage. What other providers use the Vodafone network? How does Vodafone coverage compare to Telstra & Optus? With the Vodafone network covering 96% of the Australian population, how do the other major telcos compare? According to their websites, Telstra covers over 99% of the total Australian population, while the Optus network covers 98.5%. 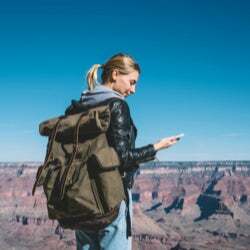 While coverage won’t generally be an issue for those looking to live or work in a major city, for those who spend most of their time out in rural areas of Australia, how much coverage your network offers may be the defining factor in which telco provider you decide to go with. Should I join the Vodafone network? 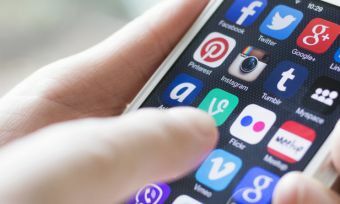 Ultimately, which provider you decide to go with will come down to your individual circumstances, including how often you’ll be using your phone, what you’ll be using your phone for and where you’ll be living. While Vodafone is one of the biggest telcos available within Australia, doing your research into what plans, phones and extras each telco provides will help you find the best option for you.